Robocop is awesome, so it is with great wariness that we approach the remake. Though we’ve already had a fair share of awful Robocop sequels and tie-ins, so something awful with Robocop in it isn’t that much of a shock any more. But regardless, the eye is still wary. The studio has responded with viral marketing to ease the pain away and to reassure the wary public that there will be familiar elements. 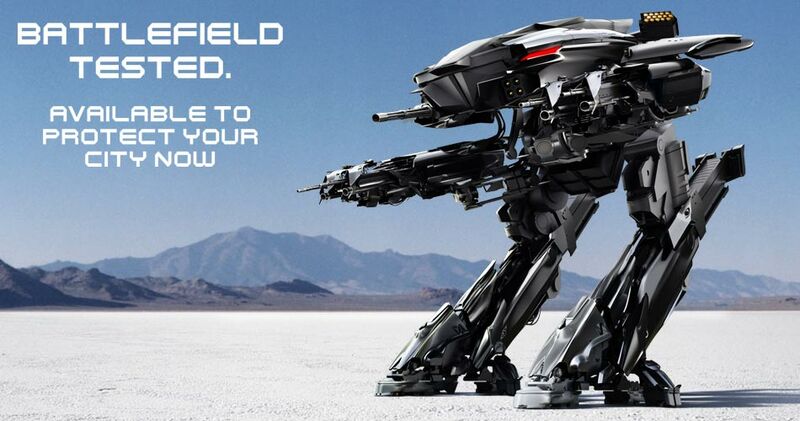 Thus, the OmniCorp Website is up with a slick new video featuring an all new ED-209 blowing up a tank. OmniCorp being the new version of Omni Consumer Products from the original film. ED-209 is slicker and more modern, but still features the same basic design. The faux commercial on the site touts urban pacification tools such as the police drone that looks like a stealth flyer, hinting there may be larger issues broached with the new Robocop. Hopefully so, as the classic Robocop has a lot going on under the hood. The cast is already geeked out, with Samuel L. Jackson playing a media mogul, Gary Oldman as one of the techs behind Robocop, and Hugh Laurie as the head of OmniCorp. Alex Murphy actor Joel Kinnaman is a practical unknown compared to them. José Padilha is directing, and we will be watching. Carefully. 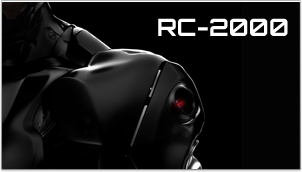 The site also hints to the Robocop design under the TC-2000 heading. But no big reveal…yet! It does fit in with the rumor that the suit will be more CGI than a giant metal suit, so Robocop can be more mobile.